Message to Nick, Chris, Dave, and Russ (and anyone else associated with EGC) ... Feel free to post here about other games we played. Strictly, Gluck Auf, since we played the International as opposed to the American edition. Fabulous game four player, just as good two player. 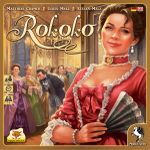 Yes, Rokoko with a k, not Rococo with a c, because Chris and I bought and played the International edition, not the American edition. Played this two player with Chris in Essen. Really liked. I kickstarted this and they delivered what the promised when they promised. Well done, Ludicreations! Played this four player with Chris, Nick, and Dave at Essen. Enjoyable filler, in which you make a prototype car from good and bad parts. Heath Robinsons creations abound! The new Jeff Allers games is a lot light than New Amsterdam. This is a tile laying, area control game. Played two player with Chris at Essen and subsequently at home with my wife. First game we got wrong (too many tiles in it), second game was a lot better. need to keep an eye out for opponents moves. Not a solitaire game. Facility to vary terrain to ensure variety in game structure. 30 minute queue to get inside of box lid signed by designer and a sketch drawn by the artist. That last one might not be a thumbs down. ...as I had no idea what to spend my GG on! ...and had a really good time. It's not particularly deep, but there's some room for interesting decisions, along with doing your best to make sure the sheep you've bet on don't make it across the finishing line. There was chanting of 'Die, Die, Die' as we realised with glee we could leave a sheep without breath in the kill zone (I believe the rulebook called it the end zone...we felt it needed renaming, especially in the final race). If it went slowly either because of people not paying attention or thinking too long about what to do, it would definitely lose a lot of its appeal (though that's often my problem with proper Euros anyway), but ruthlessly run quickly it's a good time and very non-gamer friendly. I think the chap that joined us was quite amused at how quickly we were all doing the maths to work out how to precisely finish off our ovine competitors. Had a rules explanation and a couple of rounds of this, effectively a team game where the men go out and earn money to pay for the pretty dresses the women have bought. My PC radar is pretty non-existent, but even I thought the theme was a bit off, almost as if someone thought 'Not enough women play board games, let's do one so they can shop...'. Of course that's not necessarily a problem if the game was awesome, but it certainly didn't seem to be and I couldn't actually think of anyone I wouldn't be embarrassed explaining the game to. Passing Portal to pick up a wooden box for John (more on that later) and this was set up for two players, so I watched John and Bob give it a go while I took the opportunity for a much needed sit down. If that didn't put you off already then let me go on. The usual chaos of a mancala based mechanic with odd, supposedly thematic, upgrades which removed any last vestige of control you might have thought you had. All of which I could accept when theme is well integrated, but odd things like a room full of marines and aliens and they only fight when another one turns up (ah, we were waiting for you before we started Brian), and then the battle is only one way just removed any hope of thematic excuses. It wasn't a complete waste of time as we enjoyed the sitting. My arms being about 5 or 6 inches longer by this point we headed back to the hotel and after a bit of dithering and punching of various games decided to go into marriage brokering. We set everything up, had a little chuckle that we'd probably need a bit more table space than we had and went through the well-written rules (in a Portal game?!) with little question. General setup is a worker placement with public and private actions, with a bit of engine generation with money and VP incomes and the ability to get single use specific action workers. Lots of card combos, but control of what you get from the card row (nice mechanic where the last card that no-one wants goes to you for free, I see Rokoko does a similar thing) and some fun thematic elements leading to good table talk. For instance, lots of joking about how John was only siring daughters and how his head of family married a whore courtesan. You can choose sons or daughters at the cost of VPs, but it's well balanced with wives generally coming with a dowry and husbands generally bringing more prestige and better abilities. I decided just to go for a huge family with minimal VP/turn and income whereas John was more measured and we ended up having to decide on the tie breaker (where I won for having more friends, read into that what you will), so there's definitely different routes to victory. That being said I imagine those decisions are more tactical than strategic, for those that care about that. Very good game, would play again, didn't buy as John bought it, though the wooden box just had the standard box within it, which I thought was a bit of a gyp. Had pre-ordered this on the basis of a rule reading as I liked the idea of potentially pulling off clever combos. 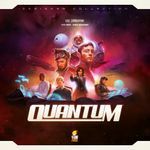 Effectively you have a fleet of dice which represent your ships where the number is both the movement speed and your combat modifier (lowest roll wins combat), you have to surround planets with the correct total in order to place your quantum cubes on them. All the dice can be 'reconfigured' (rerolled) for an action and have their own special abilities which don't need an action. You can also gain upgrades, both single use and persistent, either by placing cubes or by using your actions to research. It was _alright_ I was a little disappointed by having less chances to do cool combos than I initially thought there would be as after a couple of turns all our dice seemed to end up as 1's and 5's, the most boring of dice; but they got the job done so there was no real impetus to waste an action to re-roll. I'll give it another chance, but I'd not be surprised if this one goes in the post-Essen UK Maths trade. One of the 'hot' new releases (cut to women swooning as Vlaada walks into the room) which I was always going to pick up as he rarely disappoints me. Effectively you put regular dudes into an arena trying to make patterns that you can use to summon other dudes based on the cards you are holding, many who have powerful abilities when summoned. There are a few modes of play; individual or team, task based or deathmatch, so you can mix it up a bit, and it comes with 3 factions (actually 4, but blue and red are the same) who all play differently. My initial worry was that it would be very difficult to set the patterns up, though that didn't come through and even in the 4 player all against all deathmatch I managed to summon about 8 or 9 legendary monsters (we missed the rule that each one summoned gave me a point or that game would have been over quicker!). In many ways it's an abstract and there's been a lot of moaning about lack of theme, though if you looked at a picture of a board in play before buying it and then later complained about it being abstract I don't think you've got a leg to stand on. There's been some rebuttal based on the patterns you form looking a bit like what there are summoning if you turn your head and squint, but the best argument for theme is what the new pieces do immediately after summoning; the knight who won't kill regular pieces only heroic, the assassin who appears behind a piece and kills it etc. etc. Great game, I really enjoyed it, as did everyone I played it with, it felt a bit different too, which is always welcome these days. My only worry is that it'll start to run long if people try to see patterns coming and prevent them when often the best bet is to just get on with what you are doing. I'd ordered a few Japon Brand games at random, one of which was this. Abstracted shipping and exploration game, use your markers as ships, or buildings, or VP markers and take your actions to get the most points before India is found. Had a few beers by this point so don't want to say too much apart from the fact that I was enjoying it, one of my friends wasn't and decided to just sail his ships straight to India collecting exploration VPs and ending the game quickly. I was pleased that he didn't win by using this tactic or otherwise I'd worry about the system's resilience. Will definitely play again sometime, especially as it's such a small package. If it's still a tie, please check you game code for any Player. clone(this) abuse. The night finished with a couple of hands of this, which is a very foolish head to head card game fighting over treasure cards aiming to keep your powder dry and not use all your big cards too early. Enough there for its playtime, good filler and easy to explain, no regrets here. After trying and failing to get a seat at Nations (later described to me as TTA without the strategy and with military being even more overwhelming...no thanks) first thing Saturday morning we gave this a try. It's a tile laying game where you are building up your palace looking for the certain features that will score you points. You can summon djinn with gems to help out in various ways. Very light as effectively you just choose which floor to draw a tile for and place it down on your turn, but fun enough and I thought it'd go down well at home as building things with tiles usually does, but it's not yet available! John had been keeping an eye on this, though he hadn't Kickstarted it and decided to take to plunge and pick it up, so we had a play (actually we had two, one with 2 and one with 4). 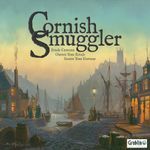 Very thematic, picking up goods from ships off the shore of Cornwall and bringing them into shore much to the dismay of the rapidly multiplying Customs agents. The number of actions you get in a turn depends on your reputation, so you can increase them by hiring well thought of characters and selling goods cheaply, though you don't want to do that too much as your score depends on your cash primarily (you do score for reputation as well, but selling goods might get you 2 pounds and 2 rep or 12 pounds so the latter option is 3 times as many points). The characters all fit with the theme with a Vicar's wife who keeps the Customs officers in the Vicarage for tea or the 'Herbalist' who poisons other characters. When you sell goods everyone else gets a 'Trick' card which can be anything from useless to allowing you to steal goods on the sea or more devastatingly on land just before a sale. In the second game, John got put completely out of the game by such a card, though it wasn't too bad as it finishes pretty quickly. Loads and loads of screwage, good fun and it plays quickly (though I'd say if people were trying to over-analyse and slow it down it could become painful, especially with the pretty swingy secret cards). Not sure there's a deep strategy space, but I'm not great at seeing that kind of stuff anyway. So having moved faster than anyone thought I could (though once you get the speed up, it's mostly momentum) to pick up a copy of this on Thursday, we gave it a go, 2-player, on Friday. Basically an abstracted Civ game where you put 2x2 cards ('patches') together to create your land, heroes, wonders, buildings etc. in front of you. Lands go out by auction which in two player is very different from higher player counts being a blind bid where you can use either side of the card. You then use your political actions (contrained by books on the map) to upgrade your land, build more workers, form trade routes etc. There are three scoring rounds where you vote on which features of your civilisations should earn points, potential scoring areas on cards which you were dealt at the start of the game. Interesting here is that number of votes both decide how much you score as well as what scores, I presume this is to offset potential military gains as waging war uses a lot of the political actions you could be using to get votes. The rules are mediocre at best and we certainly had some fairly significant questions which I'll get round to asking on the forum once I make sure they haven't already been asked and answered. It had a good arc, we were just complaining that we were really short of food when era 2 started and we got better farms on the lands for auction and though we ended up with piles of food and minerals it was plainly because we hadn't prioritised the opportunities to turn them into VPs with some of the late game heroes who take up an entire 2x2 card. The patching mechanic feels novel and interesting in of itself, even down to simple things like the building you wanted being on the wrong side of the card for you to tuck it under where you wanted it. It was worth the run, I have some concerns about military, but I often do in two player Civ games and some of the concerns may be because we were playing wrong. A trick-taking short Civ game? Worth a go thought I. Lots of interesting ideas here, the basic game play is trick taking with three suits (meat, hammers and lightbulbs) with the 4 of each suit being a disaster which are different in different decks. Alongside this is that your ability to use the cards increases with your tech age, initially you have to play blind, then you have the cards without suit, then you use the suits and finally you get access to trumps. Though as you go up levels your population has more needs to fulfil. Any spare resources can go into various upgrades on your boards to mitigate against a bad draw in the trick taking part. Two players take 15 minutes or so, three around the 20-25 minute mark. It didn't outstay its welcome and I'm happy I bought it, though not sure when I'll play it! Of note the rulebook is hilariously translated in parts. Bought primarily for the bonkers theme and I had to start skipping the preambles during the rules reading as I kept giggling uncontrollably at references to ensuring communion with the great tree (or something like that). This is a theme heavy, upgrade your rig and go onto missions to get resources to convert into victory points and make the next run easier, type of thing. Some interesting stuff around turn order and determining the order that the locations resolve to screw over your opponent. It felt a little old-fashioned, almost like a classic Games Workshop game. First game went overwhelmingly in my favour, mostly as John did a run he really shouldn't have as he was worried I was streaking ahead (which I was, but I then failed two runs in a row which brought me down to earth pretty quickly). Fun, though similarly to Quantum a bit of buyer's remorse, though who doesn't want a game where the goal is to become the chosen of the mystical Tree? So Uwe and Lookout have produced another impressively heavy box of magic? Bob had ponied up the 60 euros so we had to give it a go. If you've played Agricola you can play Caverna, lots of identical mechanics, with digging out a mountain and clearing the forest built in. You can outfit your dwarves with fighting hats and send them off to bring back stables and cows (at least that's what mine did...) which is fun, though caused a lot of competition over the limited expedition sites. After the first few rounds you have roughly a harvest a round and to achieve this it's much easier to get food. One way this is achieved is by adding the expeditions, another by having a build a room and family growth action, and another by adding rubies which are effectively wild cards and can be swapped for animals etc. No cards/occupation (yet), though a variety of rooms that can be built in your cave add variety although we didn't build many partly as we were having too much fun pillaging to make our animals breed (yes, really) and partly as we didn't realise they were actually quite cheap. Very good revision of the system, especially if compared to the family game which is the closer comparison. Retains the feeling of not being able to do everything while removing some of the Agricola frustration of feeling like you are struggling. I imagine it'll be more popular with the lighter Euro crowd because of hitting that sweet spot. Difficult to know whether I'd rather play this or Agricola, though as I've got Agricola and Farmers of the Moor I'm not too sad I don't have this as well. Another 'hot' game, though obviously on the silly side, bought by John. It should have been more fun than it was, a game like this shouldn't have us referring to the rulebook multiple times during play and having mini-rule lawyer arguments about whether a meeple on the pavement was in the ruin of the building or not with attendant grumpiness. Also, we were all pleased when the end game was triggered, never a good sign for a 'fun' game. A bit disappointing, though probably played by the wrong crowd, and I'd not mind another go, maybe I should be drinking more? Picked this up after playing through a couple of turns of chemistry based fun (did not think that I would be saying that many years after school!). 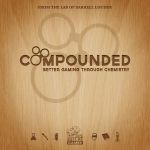 The game plays smoothly, with lots of visible information on the board, you are competing to score compounds, do research and upgrade your ability to deal with other situations that arise in the lab. 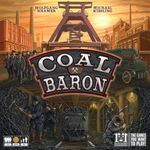 The components and art are lovely - and the board is a nice looking periodic table.......which has nothing to do with the game except to act as a scoreboard seems like some money could have been saved in production on this one! This is quite simple to pick up and I look forward to playing a game through to the end - this one might even be mildly educational!?!? I had forgotten this was coming out, but turning the corner into hall 1 and there she was, Serenity, in all her glory. I looked for space at the tables and was hijacked by a German to sit in on the last seat available....destiny! We played through 4 turns of a scenario where we were trading between planets trying to be the first to 15,000credits. The number of cards in this game is huge, with a full deck for each of the space stations that you interact with and for each of the contacts that can give you jobs. The ships look lovely, as well they should, and the gameplay seems simple enough. A heavy Euro, this is not. It is a fun, theme driven game where the economy is the cash and the play is relatively free-form. Do what you want. The basic rules deal with most situations and encounters, the cards and/or the scenario that you are playing give you the rest. The game comes with 6(?) scenarios to play through, but this format means that fan-scenarios are bound to pop-up very quickly which will add some longevity to the game. You are buying a game system here, with a set of scenarios to start you off....where this game goes next will be up to the players! How could we pass this stand without at least engaging in conversation...they had blinged up hand-painted racing cars to add to their sets. Once engaged in conversation with these guys, they started to talk about the game and it sounded better and better. 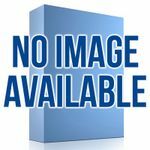 A strategic racing game, where the moves are not physically represented on the board, just the encounters and race changing elements. Each turn represents 1or 2 laps of the race, with the move that you make indicative of the change in positions and sequence of cars on the track. You can push your luck when overtaking on the corners, or take your time trying to overtake on the straights. You can burn through your tires and fuel quickly or slowly and that will change your pitting strategy. You have weather and different tyre types - when should you put those wet tyres on? and should you risk taking them off early? This game has no dice. There is a randomness element introduced by the (extremely tall) deck of cards, but this is more like hand management. This game is not about being the driver of the car, but about being the team strategist, putting the plan together for the race and then reacting to everything that happens during the race. Something I have not seen before. It even has a safety car!!! I just know that this is going to be fun, and contains the basic and then also advanced rules. I read that they have plans to release 4 more tracks and rules for World Championships etc. This could be a fun ride. RRR was the game that I bought at Essen that had not even been on my radar, let alone my list of games to buy. 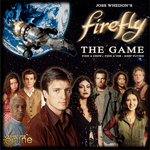 I think it was one of the top - if not the top - rated games on FairPlay. We played four player.